You mean it’s not too late to buy a handmade guitar or ukulele for the perfect Christmas/Holiday gift? Yes! there is still time. Given all our instruments are shipped overnight this time of year, December 22nd is the last day for you to capture a guitar or ukulele as a holiday gift if you require shipping. Orders must be in by midnight Tuesday. December 24th is the last day if you come to our shop. * Please call ahead for appointment. 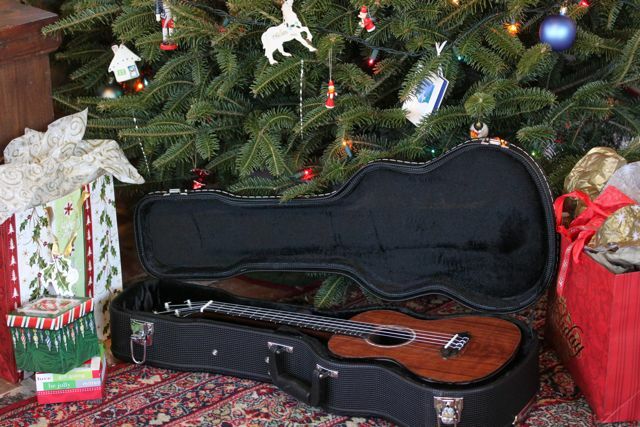 Handmade Brazilian Rosewood, Curly Redwood Tenor Ukulele – the perfect gift for the uke-lover in your life!